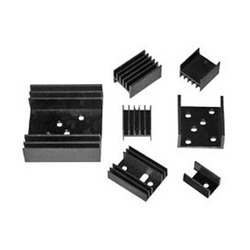 Our product range includes a wide range of board level heat sink for electrical package, bonded heat sink, laptop heat sinks, flower type heat sinks, l heat sinks and mounting large holes. 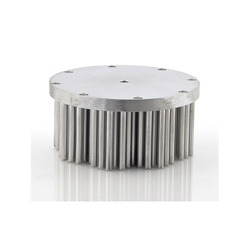 Himalay Engineering offers a large variety of widely used heat sinks in the industry. Design engineers looking for complete off-the-shelf thermal solutions need not look any further. Bonded-Fin parts offer fin ratios as high as is practical. Increasing the number of fins increases the surface area exposed to cooling air, and greater exposed surface area means more heat transferred away from the electronics. In most typical air cooled applications - heat sinks are convection limited, and the overall thermal performance of an air cooled heat sink can often be improved significantly if more surface area can be exposed to the air stream. Wakefield Solution’s high performance Bonded-Fin heat sinks utilize thermally conductive metal-filled epoxy to bond planar fins onto a grooved extrusion base plate. 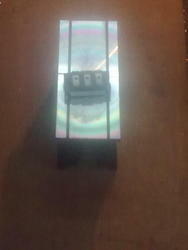 This process allows for a much greater fin height-to-gap aspect ratio of 20 to40, greatly increasing the cooling capacity without increasing volume requirements. 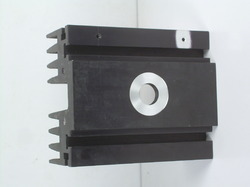 We are a renowned name, which is engaged in offering Laptop Heatsink.